If you ask me, spring came early to Zürich. As soon as March arrived, so did the sun and the 15-degree weather. Patio tables and people came out of hiding, and you didn’t have to search hard to find a well-dressed old gentleman sipping an espresso over a newspaper at an outdoor cafe table. I kept waiting for it to get cold again, but it never did. Yesterday in the city I already saw women in dresses and men without their suit jackets. I am just not spoiled like this. In Vancouver, you don’t get much of a spring because it rains until June (that’s why they call it Raincouver). 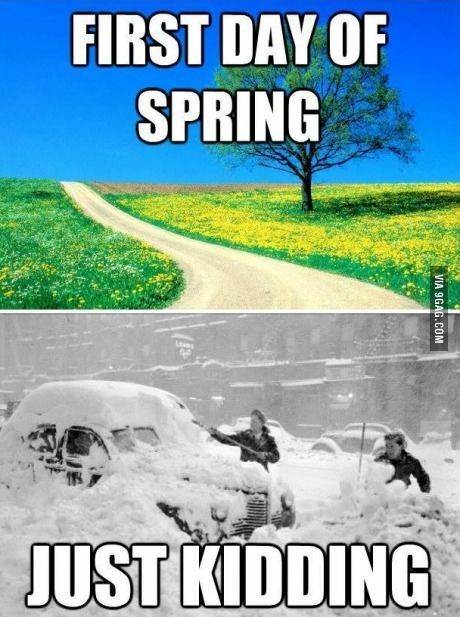 In Helsinki, spring is famous for, well, never really showing up 😀 (there are many great memes about it, like this one or this one). Probably the only true spring I experienced was in Paris, where the are many strategically placed magnolia and cherry blossom trees that become overnight Instagram celebrities when they bloom (especially this one at Champ de Mars in front of the Eiffel Tower). But even then, I remember that it didn’t really get warm until April. So all around, Zürich wins First Place in the Spring Race.